Here are exact steps one can use to get COP 6.5 LENR device. Containers of fresh water above and below a container of salt water. 1HP pump connecting container below to container above. 2. Mix the fresh water in top container with salt water in middle container. 3. Measure the electricity produced. 4. Pass the salt water through a membrane to keep the salt in the salt water tank and allow the fresh water to pass. 5. Pump the fresh water back up. 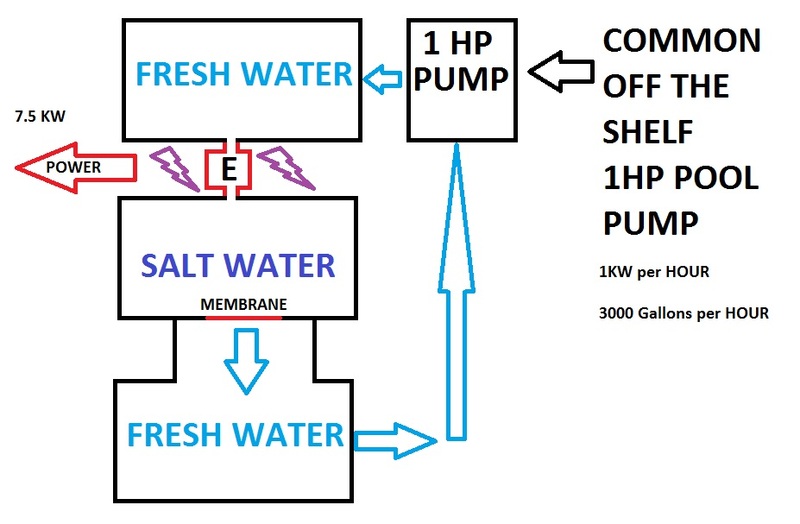 > The mixing generates a significant 2.2 kJ of energy per liter of fresh water that flows into the sea. Last Edit: 2 years 2 weeks ago by jacktca.